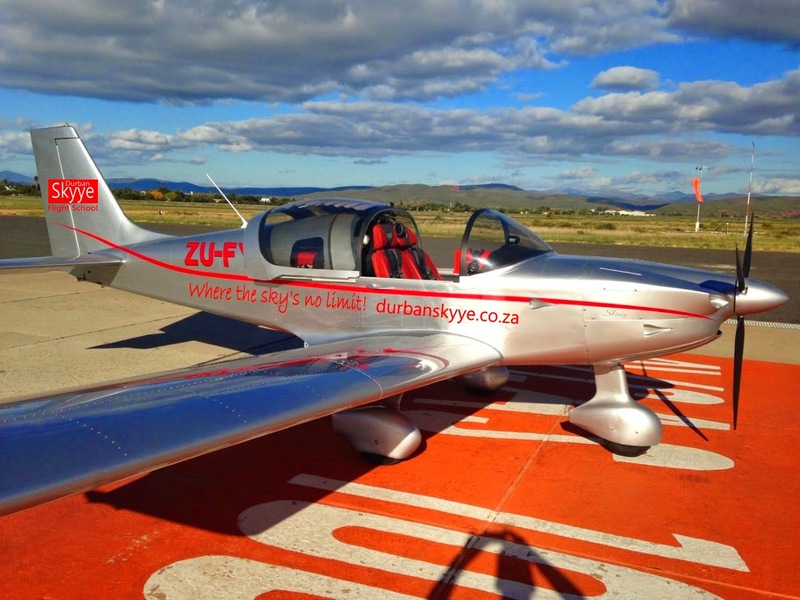 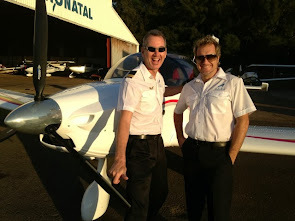 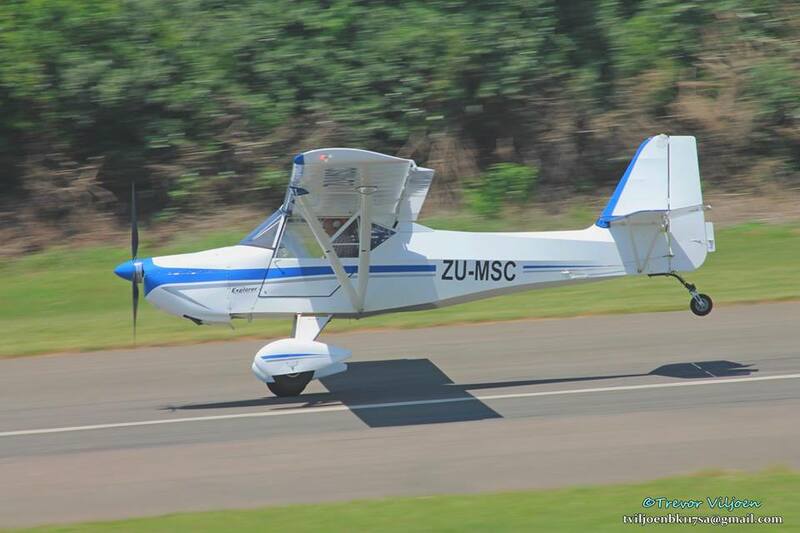 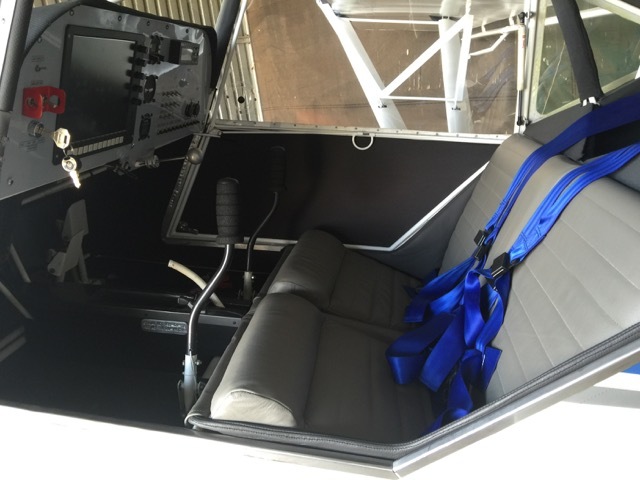 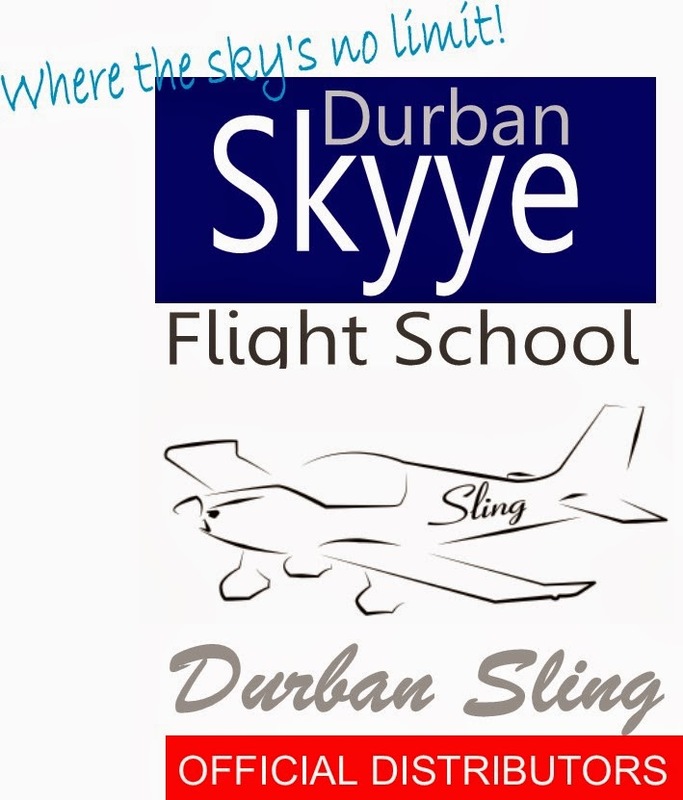 Durban Skyye Flight School has updated it's training aircraft to a new Sling Trainer ZDF. 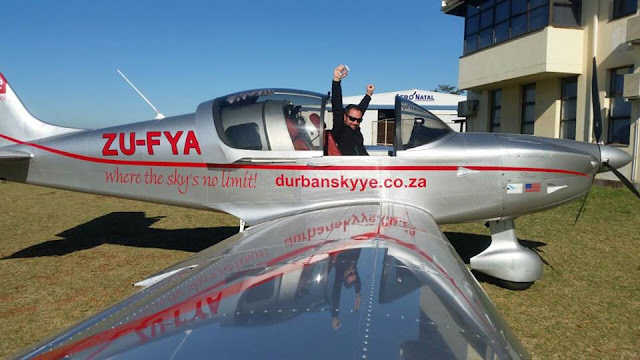 Here CEO Dave Mc Naught poses with the plane in it's new flight school branding. 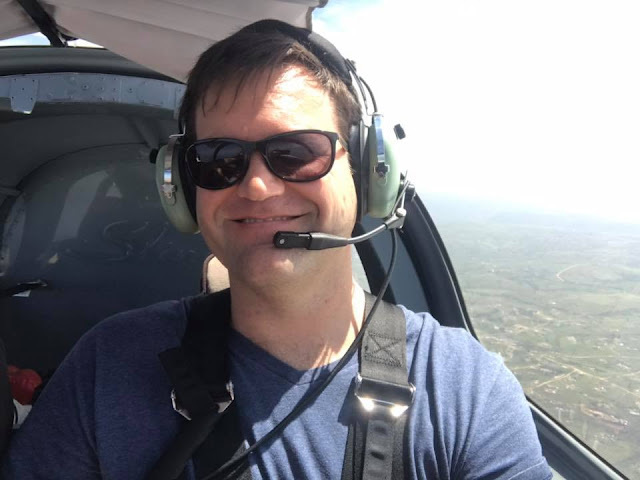 Recalls Dave - "When I was first learning to fly I needed confidence in the aircraft I was training with so I felt it important to have modern aircraft to train in and with the latest updated technology. 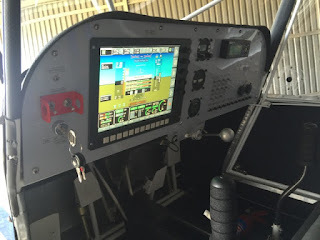 The Sling trainer has a touch-screen computer EFIS (electonic flight instrument system) as well as backup standard instruments. 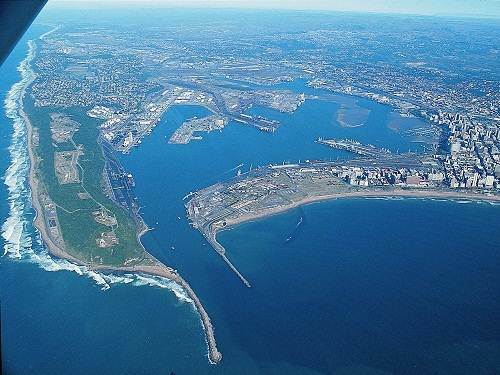 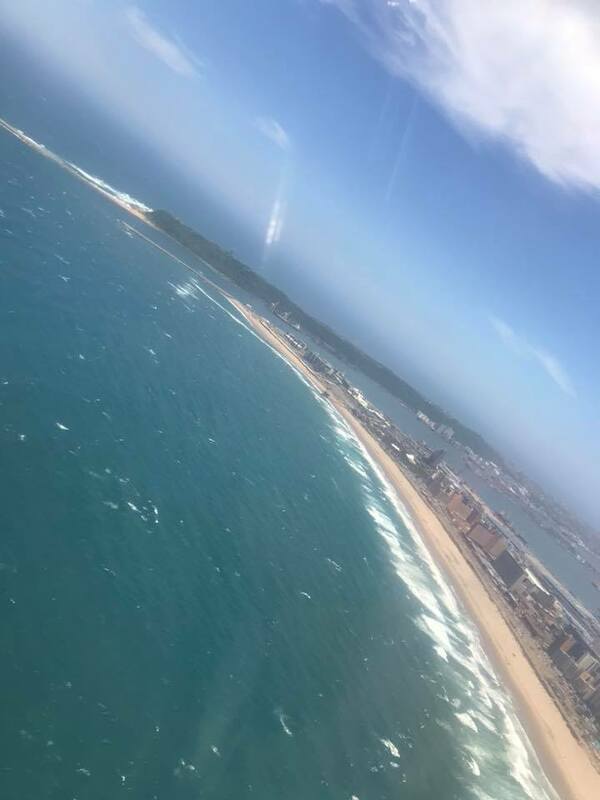 One beauty doing circuit training from Virginia Airport is that you get to see our magnificent Durban coastline at all times of the day. 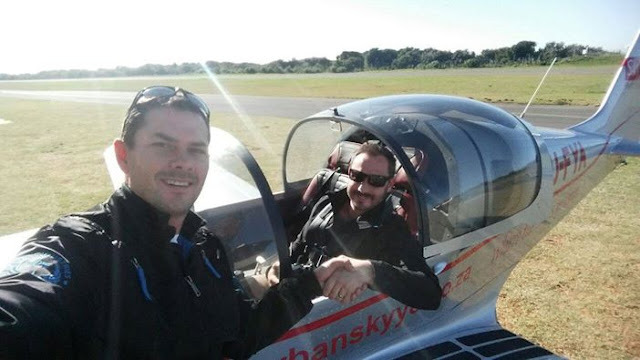 Stunning morning flights as well as the sunset ones. 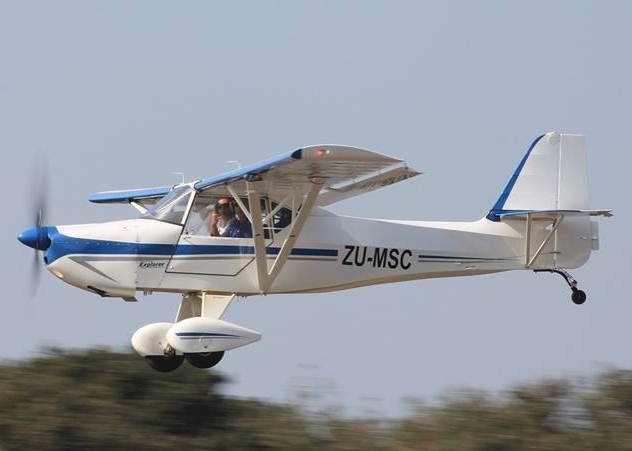 Know your Spots is an aviation safety awareness campaign launched by our local Civil Aviation Authority this year to improve pilots' awareness of their own limitations - in the same way that leopards cannot change their spots, so we as pilots cannot change our characters, but we can change the way we plan our flights, become aware of our limitations and make adjustments to our planning to reduce the possibility of an incident or accident. Durban Skyye Instructor and CEO Dave with Louis attending the meeting. 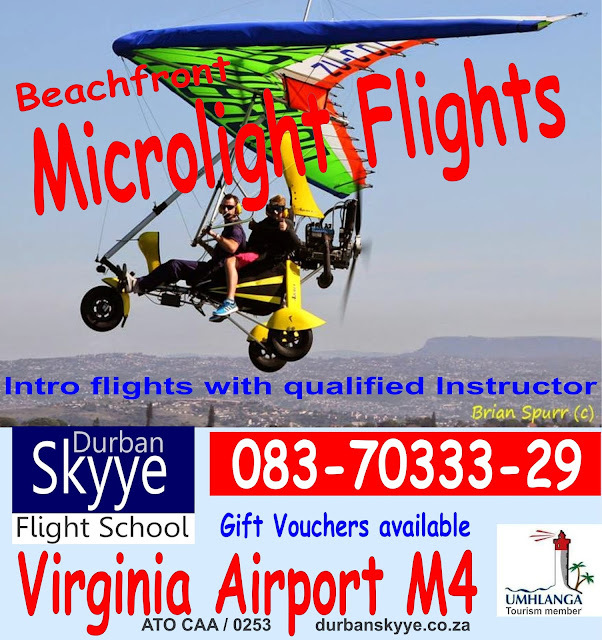 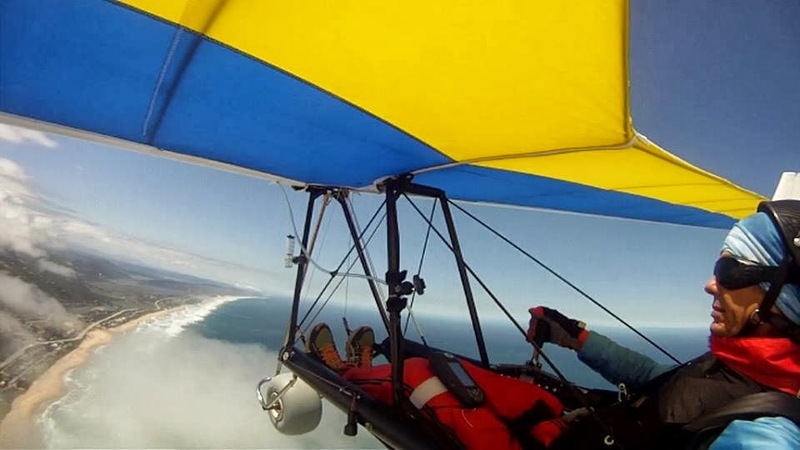 Get your Christmas Gift Voucher or book your holiday microlight flight and see Durban beachfront and Umhlanga from above. 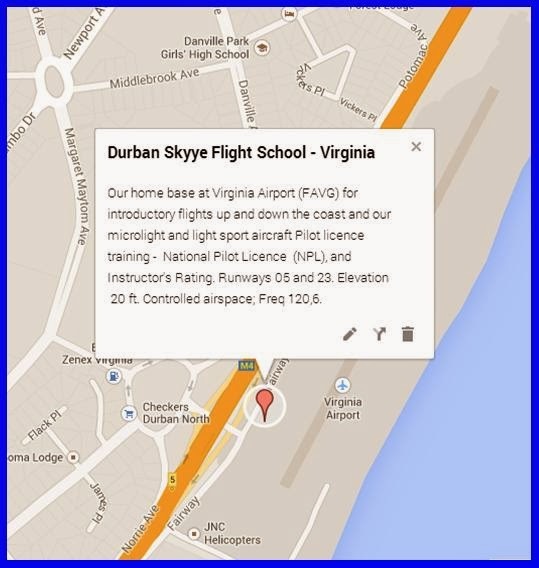 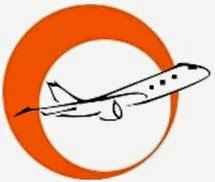 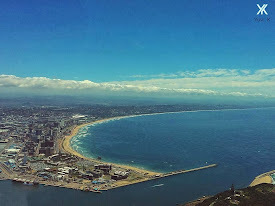 Intro flights available or full pilot training.. R600 per person 20 minute flight from Virginia Airport along the Durban beachfront past the Stadium to the harbour and back; R850 per person 30 minute flight as for the 20 min flight plus to the Umhlanga Lighthouse and beachfront returning to Virginia Airport. 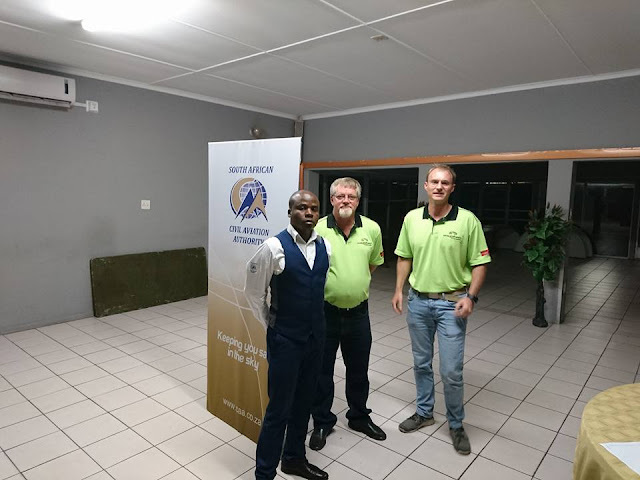 Contact Brad on 082 820 4840 or Dave 083 7033329. 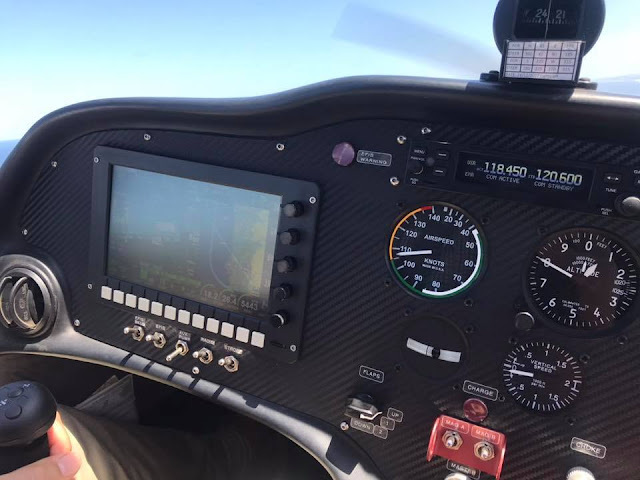 Difference between prop and engine hours was due to elective prop upgrade.